I have had a bag of sport weight Koigu yarn squirreled away on the hold shelf at the store for a while, thinking that I would use it for a sweater. The color is a beautiful, deep, rusty orange (hard to photograph…), and I just love it. When my friend Emmy suggested that we make a saddle shouldered cable sweater, designed by Elizabeth Zimmerman (and her daughter Meg too? ), this yarn immediately popped into my head. 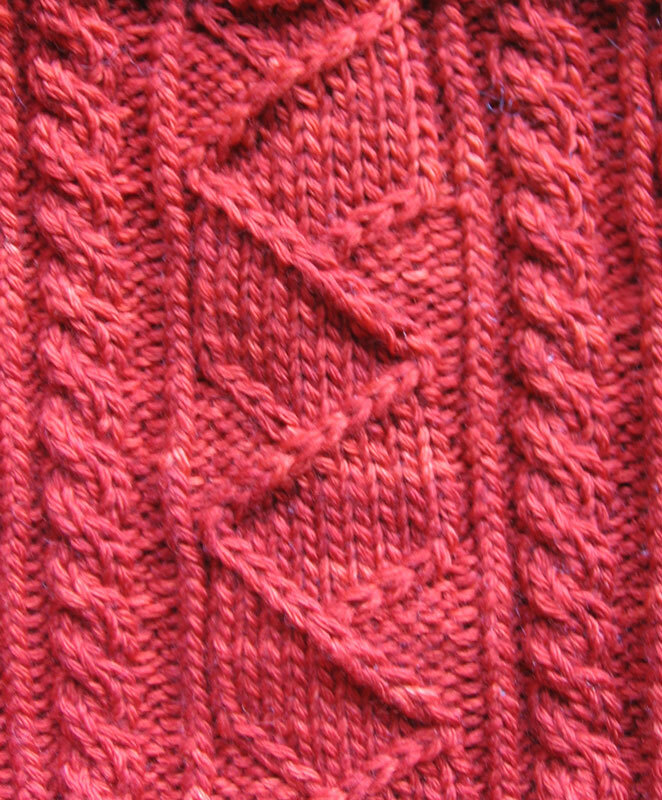 The pattern is a loose description for how to make the sweater, and it is strongly suggested that you knit a large gauge swatch. 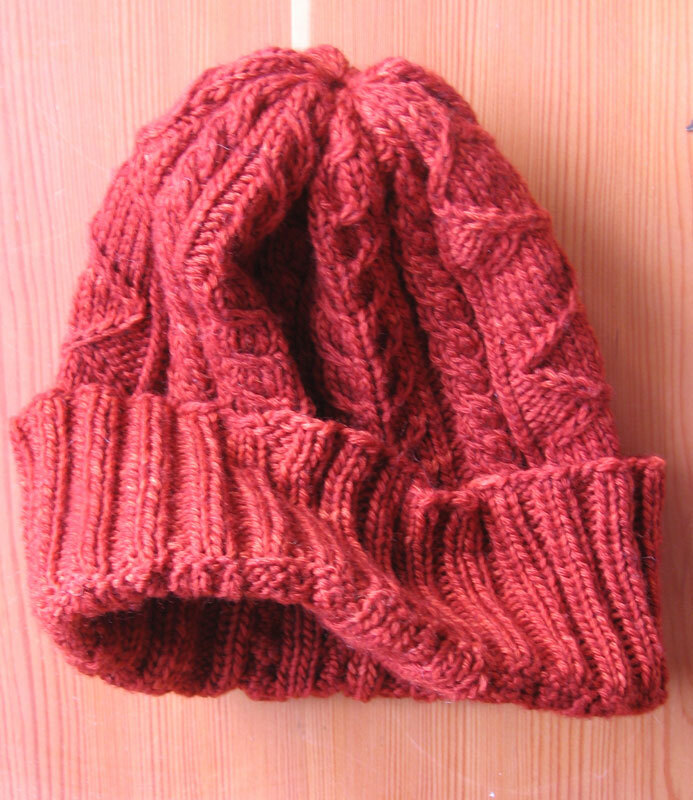 She even suggests knitting a gauge hat, or tube, knit in the round as the sweater is, to more accurately measure the gauge. Good plan! I had a sneaking suspicion that the yarn, even thought I loved it, wasn’t my color. Turns out the hat is perfect for my mom. So I am now shopping for a new yarn, and my mom has a new hat! 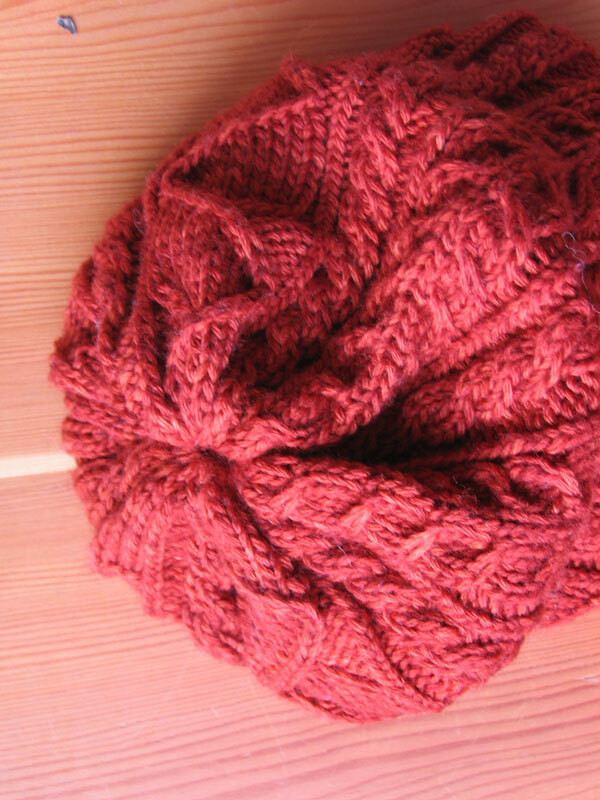 The hat is made from a combination of cable patterns, including sheepsfold and herringbone. 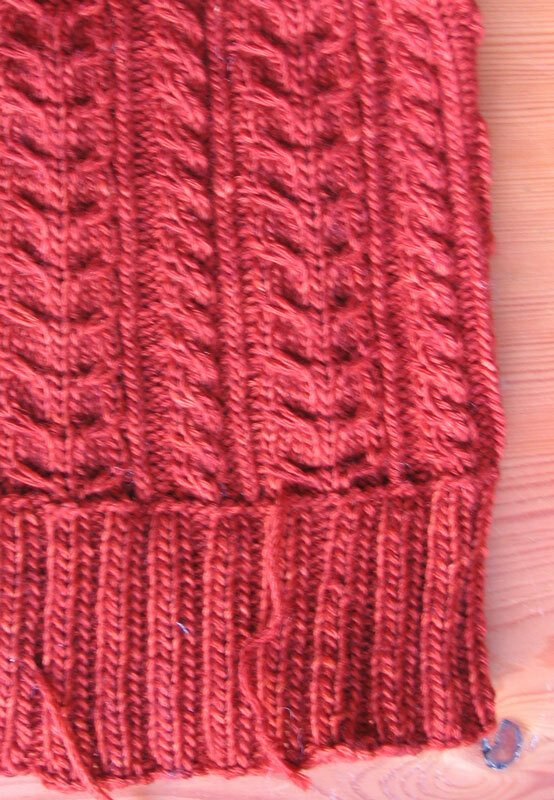 To set off the cables, I added several purls, twisted knits, and a 2 by 2 cable. 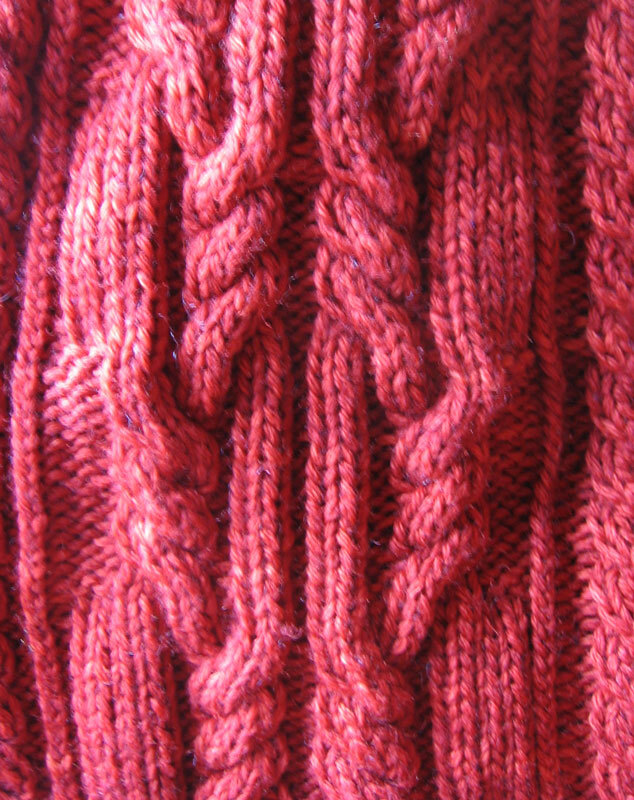 The additions to the larger cables also work to adjust the size of the finished sweater. To close the top of the hat, I decreased dramatically over the last few rows, and threaded the final stitches through a sewing needle and pulled tight. There is still a little hole in the top of the hat, but hopefully with a little blocking it can be disguised. At the bottom edge of the hat I picked up 90% of the stitches (9 out of every 10). I worked a knit 2 purl 2 rib over these stitches until I ran out of yarn. Overall, the hat was a perfect swatch, to figure out how the patterns worked, how the yarn worked, how the color worked, etc. And one finished hat is the result! WOW!!! This looks awesome Torrey – what a gorgeous color! I am sure that your mom loved it!! !